Mahabubnagar is the largest district in Telangana State in terms of area(5,285.1 sq. km) covered. It is also known as Palamoor. Mahabubnagar district headquarters town was named after Mir Mahabub Ali Khan, the Nizam of Hyderabad. It is located between 15° 55′ and 17° 29′ N latitudes and between 77° 15′ and 79° 15′ E longitudes. It is bounded on the north by Ranga Reddy district of Telangana, on the east by Nagarkurnool district of Telangana, on the south by Wanaparthy and Jogulamba-Gadwal districts of Telangana and on the west by Raichur and Gulbarga districts of Karnataka State. The area of the district is 5,285.1 sq. kms. 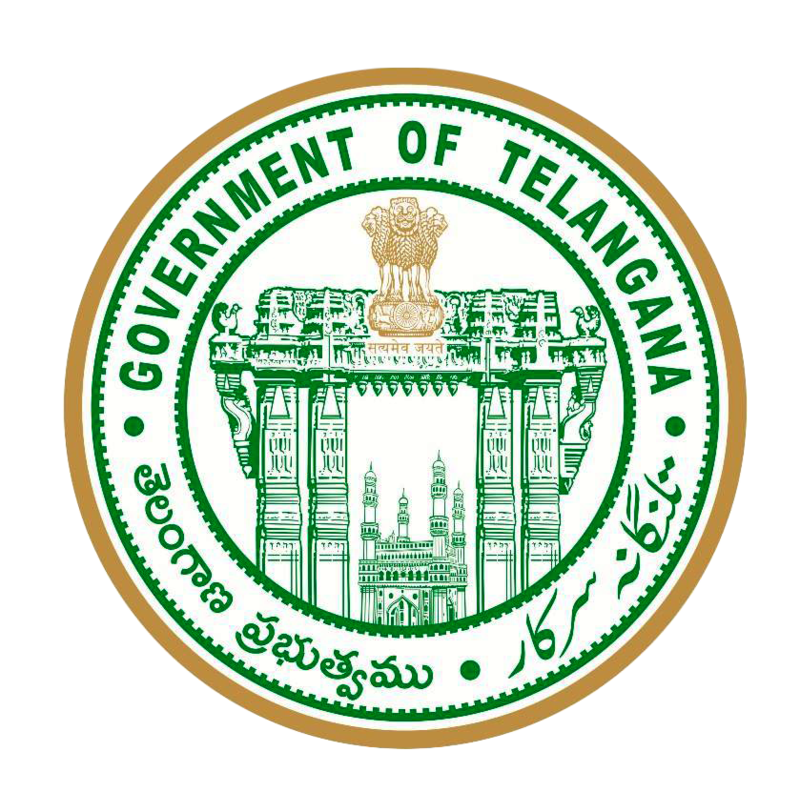 Telangana forms the core of the Satavahana Dynasty (221BC-218 AD), Part of Chalukyan Dynasty in South India (between 5th and 11th century AD) and in the recent history, it formed the core of the Golconda State and Hyderabad State, ruled by Qutub Shahi Dynasty (1520-1687) and Dynasty (Asaf Jahi Dynasty) (1724-1948) until it was taken over by New Delhi in 1948. This region became independent and joined in the democratic India on 18th September 1948. Mahabubnagar(erst while) is southern district of Hyderabad State under Nizam and bordered with River Krishna in the south and surrounded by the Nalgonda, Hyderabad, Kurnool, Raichur and Gulbarga districts. Two important rivers, viz. Krishna and Tungabhadra flow through the district. The Krishna River enters Telangana State in Makthal taluk of this district and covers Makthal, Gadwal, Atmakur, Wanaparthy, Kollapur, Alampur and Achampet taluks. The Tungabhadra flows through the erst while taluks of Gadwal(new District) and Alampur. The Dindi River, which is a tributary of the Krishna flows through Kalwakurthy and Achampet and joins the Krishna River, 18 miles east of Chandragiri. Pedavagu and Chinavagu are the other tributaries of the Krishna in the district. Mahabubnagar district is the abode of the many famed temples. These temples witness economic activity, primarily spurred by the pilgrim visits to these areas round the year. 700 years old Pillalamarri great Banyan Tree which is spread into many branches, is one of the wonders attracting many people. One could not see the main trunk of the tree. Mahabubnagar town is located at a distance of 96-km from Hyderabad and well connected to road and rail network. It is well connected by Road. Air facilities can be availed at Shamshabad International Airport (Hyderabad), Hyderabad, Chennai, Bangalore Airports. Mahabubnagar district is abode of many religious and heritage sites, whose history dates back to times immemorial. There are a number of medium to large places of tourist/worship in and around the Mahabubnagar town. These are places of worship in the Mahabubnagar district. These are places of significant historical and religious importance, but have unfortunately been relegated to places of no import. Mahabubnagar is near to Hyderabad and some of the temples, which are on the way to Tirupati from Hyderabad. Despite having very high religious and historical importance, these places have been subjected to decades of utter neglect, this indeed is deplorable. Most of the Population is centered at rural areas which made the Mahabubnagar to have the highest rural population(89%) in the Telangana State. Agriculture is the main occupation enriched with paddy,jowar,groundnut,castor,cotton. Unfortunately drought is the ever persistent problem for the district which pushes it to the backward. There is lack of basic infrastructure like public toilets, sewerage, drinking water supply, illumination, landscaping, development of parks, tourist arrival centres, tourist relaxation shelters, availability of information, leisure & entertainment facilities, marketing facilities for creation of awareness, etc. There is urgency in protecting these temples/monuments and providing minimum basic tourist infrastructure facilities to the pilgrims/tourists is the need of the hour.